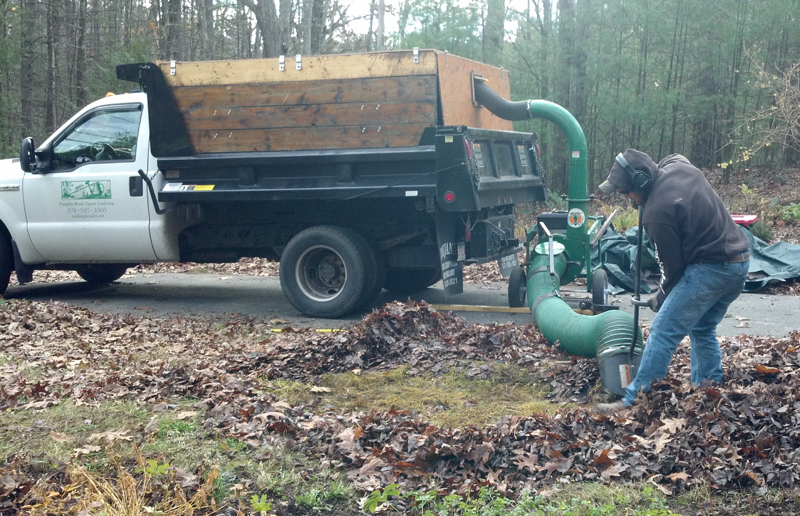 In the fall and spring as weather permits, we clean-up, shred, and then spread shredded leaves in planting beds. The leaves are rich in nutrients, low in cost and have uniform appearance. They decompose fast, and assist in building soil structure. This practice effectively recycles the leaves on site, and closes the waste loop. Many clients thus avoid disposal costs.